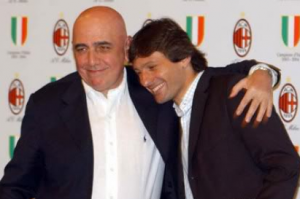 Calciopoli – Italian Football’s Graveyard; Who’s Responsible? Calciopoli was an Italian football scandal that involved some of Italy’s elite football clubs. The scandal erupted when a few telephone interceptions showed a relationship between team managers and referees. The teams were accused of manipulating games by selecting favorable referees. As a result of these accusations trials took place and each of the teams involved were punished. Juventus were relegated to Serie B, were stripped of the 2005 and 2006 Serie A titles. They also had 9 points deducted. (they started in Serie B with a point tally of -9 and not 0). AC Milan had 8 points deducted from their 2006/2007 Serie A season. They also had 30 points deducted off their 2005/2006 Serie A campaign but still managed to make it to the Champions League. Fiorentina, another team that was punished, had 15 points deducted from their 2006/2007 Serie A campaign and were out of the Champions League. Lazio and Reggina had point deductions as well. As a result of the punishments, Internazionale Milan was awarded the 2005/2006 Italian Serie A trophy. Perfect picture, eh? No. There’s much more about Calciopoli than the above would suggest. From illegal activities that lead to the discovery of some shady phone calls to the appointment of pro-Inter people in organizations related to Italian football, to the fact that Inter eventually turned out to be the only party that benefited from the scandal raises questions that SHOULD be highlighted and answer. We’ve decided to take the time and let you know what has been forgotten or what was meant to be buried with time. Anyone who watches series like C.S.I would know that the number one suspect of a certain crime would be the one with the biggest motive and evidence that connects him to the murder. Well, it’s sort of the same story. Who had the biggest motive to destroy Juventus and AC Milan? I’ll let you come with the answer yourself. Why would Inter want to destroy Juve and Milan? Well, the only way to make it back to domestic success would be with the top 2 teams out of sight. Before Calciopoli, Inter Milan hadn’t won the Scudetto since the 1988-1989 Serie A season. During that period, Juventus and Milan dominated Serie A. Both teams had won a combined 11 Serie A titles since Inter’s last. These facts clearly show that Inter were a relatively “weaker” team than AC Milan and Juventus in Serie A. That was of course before Calciopoli. Now if one takes a look at the titles won by Inter after Calciopoli, the record is crazy. Inter won 5 consecutive Serie A titles, with no real competition in 3 or 4 of them. Inter also went on to become a team that attracted a lot of great players like Zlatan Ibrahimovic, who was vital for most of these 5 titles. Coincidence? Don’t think so, but that’s just a piece of the puzzle. Please, continue reading. Putting the “Inter benefited the most” argument aside, one must take a look at the parties involved in the “development” of the Calciopoli case. How were they connected? Was Inter again involved in a rather sarcastic way? Sarcastic it is, as conflict of interest doesn’t come out of nowhere. Gazzetta Della Sport is an Italian sports newspaper that is known by the name “ Gazztta Dell’ Inter” by rival fans. The newspaper is owned by Carlo Buaro, vice president of Inter and a self-proclaimed Interista. How is the newspaper related to Calciopoli? It all started when the newspaper itself performed an ILLEGAL ACTIVITY and published transcripts of Luciano Moggi’s telephone conversations. Those transcripts however didn’t make their way to any incriminating party involved. However, Gazzetta Della Sport’s involvement doesn’t stop there. The media frenzy that resulted from these transcripts forced FIGC (the Italian football federation) to open an investigation. Before Calciopoli evolved, Adriano Galliani was the president of FIGC. Due to the scandal, Galliani was forced to resign from that job since AC Milan were one of the clubs accused of involvement in a certain type of cheating (“certain type” will be discussed further on in the research). His resigning from the presidency of the FIGC was no controversy but actually a step forward toward “a better trial”; or at least one would have hoped so. 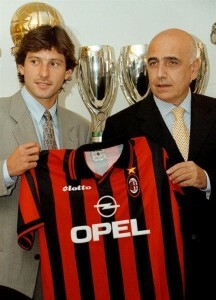 The person that was appointed to replace Galliani was Guido Rossi. He was a director at Internazionale Milan from 1995 to 1999. He is also a self-proclaimed Inter fan, a shareholder in the club, and a friend of Massimo Moratti. As part of his first assignment Rossi would be in charge of Calciopoli. Interesting, eh? Well, here’s another interesting thought: Guido Rossi handed the 2005/2006 Serie A title to Inter after Juventus were relegated. His relationship to the case doesn’t stop there. 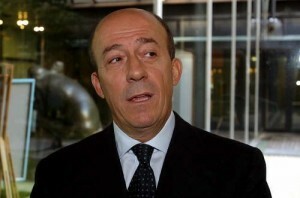 He later on resigned from his position as president of FIGC and became president of TIM (Telecom Italia). Telecom Italia (TIM) was the company that recorded the conversations that lead to the scandal. That doesn’t mean that Inter were part of all this or even that Telecom Italia “purposely” involved themselves indirectly in the case. However, the following issue does raise some suspicions. On the board of TIM were both Massimo Moratti and Carlo Buora. The connections between the many parties involved in Italian football and Calciopoli don’t end there. Inter’s second largest shareholder after Moratti, Mario Provera, is the owner of Pirelli, which owned TIM at the time and is the official shirt sponsor of Inter Milan. So in a nutshell, all parties involved were connected in every possible way. This “circus” doesn’t stop there. What was Milan and Juventus REALLY accused of? Well, in a nutshell, “having an exclusive relationship with the referee designators”. That relationship itself was seen to have given both teams an advantage. Milan were accused of having that relationship with referee designator Pairetto. Meanwhile, Juventus were accused of having that same relationship with another referee designator, Bergamo. The teams violated a rather minor infraction – unsportsmanlike conduct. One can say that both teams deserved to be punished. But what was the punishment for such violation? A fine. The punishment never exceeded that. How did it reach titles stripping and point deductions? Well, our friend Guido Rossi comes up again. He decided to make “contacting a referee designator” an infringement (wasn’t against any rules before that). He managed to group all the calls together and sprinkle a little magic, “enough” to accuse the clubs of “match-fixing” when there’s no evidence whatsoever of that. So basically he grouped a series of minor infractions to create a rather major one. During trial, 171000 phone calls “magically” missed from the court documents and were not taken into consideration when Juventus, Milan and the rest of the teams were punished. The calls that were taken into consideration were the ones that seemed “perfect” enough to incriminate the clubs and parties punished. What about the rest of the phone calls? Couldn’t these phone calls have helped brighten Juve and Milan’s picture? Or even accuse a certain club of cheating? Say, Inter Milan? Some of the phone calls eventually came out and the Inter presidents were overheard speaking to referee designators. The facts stated show that Calciopoli may as well have been invented by Inter to incriminate other teams. If Juventus did wrong by having an exclusive relationship with the referees then why were all phone calls involving Inter ignored? 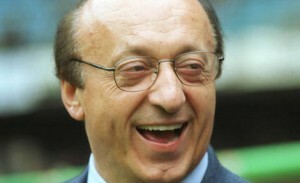 Moggi himself said it: either all should be punished – or none. And since many were, then Inter should have as well. They should be punished upon the same standards that Juve were punished on.